I haven't had time to listen to any of it yet, but I'm optimistic that it will be a high quality mastering. $62.50 for the CD set at Amazon US. Probably worth it for the book, if you like that sort of thing. I probably won't get this, as I already have most of the tracks in hi-rez, with the original albums released in 24/192 in 2016. These sound very good. "Please Note: We offer this album in its native sampling rate of 96 kHz, 24-bit. 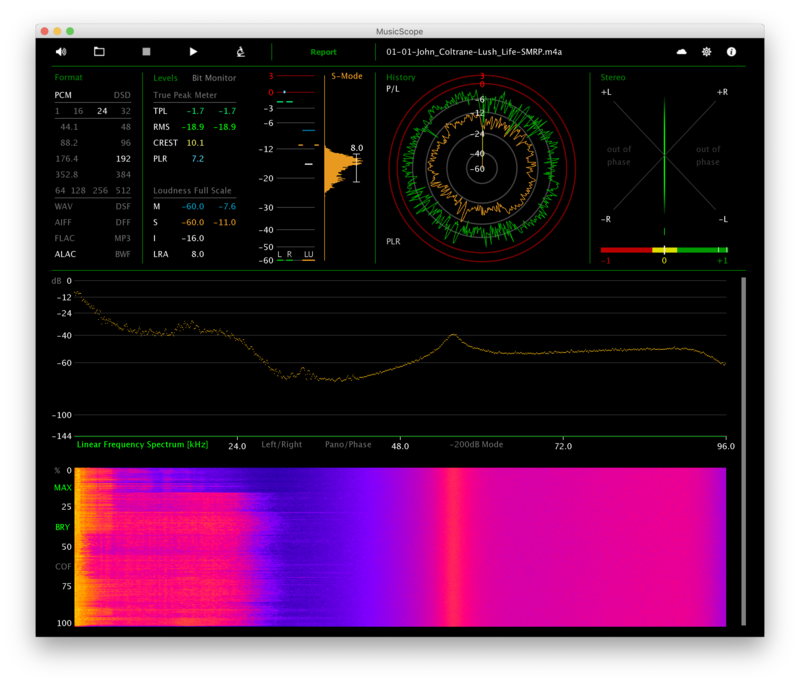 The provided 192 kHz version was up-sampled and offers no audible value! " It's sad that no booklet is included with the download. It does say somewhere that the vinyl was mastered from the 24/192 version, and so I would be surprised if it was upsampled from 24/96. At 45 euros the Highresaudio download is more expensive than the HDTracks version. Qobuz sublime : 24,50€ for 24/192 version. Same price for 24/96. Lots of records are mastered in different ways between analog and digital versions. Highresaudio is known for trying very hard to establish provenance of the files they are given. If they say the 192 k is an upsample, I’d believe them. I’ve learned never to assume that record labels will do the sensible and logical, or inform customers about info they should know. Just another reason to buy the even cheaper 96k version. Or listen on Qobuz. By the way, another example: The complete 6 disc version of the Allman Brother’s at Fillmore East was released in 192k. After many earlier adopters bought it, it turned out that the 192 was an upsample of the 96. How and why? The analog was digitized at 24/96. For mixing purposes, it was upsampled to 24/192. They then downsampled the result back to 24/96, but also marketed the original mix version in 24/192 -as if it was a “real” 192k version and charged more for it. Unfortunately, record labels do this kind of crap all the time, and I’m guessing a similar thing is going on here. Since upsampling is easy to detect (it takes a minute to check a track in a spectrum analyzer software) , I don't understand why download stores don't verify this before selling the albums. Concerning the Coltrane set, there is so far only this upsampling claim by Highresaudio, which could apply only to the files they received. It would be great if somebody could check the 24/192 files offered by other stores. I would, but I only bought the 24/96 files (a steal at Qobuz US for $14.99!). Will be interested to see what others contribute. Frankly, I wasn't all that impressed with the sound of this collection.. Very clean / clear, but also pretty lacking in depth / warmth - not typically what I expect from Coltrane, keeping in mind the late 50s provenance. I'm not an expert at reading these things, but looks like a mono source, no real content over about 30Khz - whether it's upsampled from 24/96 or not, I can see no reason for paying extra for the 24/192 version, in any case. That is indeed a steal compared to the european price. Is the CD booklet available on line? Doesn’t look like it. I’m thinking of ordering the CD box. You get the book, and in this case i doubt there will be any difference in SQ. I’m also not seeing it available for purchase in Qobuz, I wonder why? Esoteric F05, Synergistic Active USB, Devialet 200, Oppo 203, Synergistic Atmosphere Level 3 UEF Speaker wires, Legacy Audio Focus SE. ClearAudio Emotion TT. Even more of a reason to just by the CD box set and get the book. I really doubt you will be able to hear any difference between the CD's and the "hi-res". I finally got around to do some (somewhat) critical listening of this new remaster. To me (streaming the box in Reebok from Qobuz), it sounds better, clearer, more resolving than the Complete Prestige CD boy I have in my library, and even somewhat better, or at least not worse, than the MFSL remaster SACD of Soul Trane. I‘m not sure I’ll buy this again because the SQ increase isn’t night and day and Prestige isn’t particularly audiophile to start with, but of you don’t have these albums, I can really recommend the new remaster, especially at the Qobuz US Sublime price. I bought the 192/24 download (20% off at HDTracks). While I haven't listened to all of the tracks, I really like the sound. How the CD box set is presented - any booklets inside etc? Digital versions of course have nothing, nada :-( Asking also if all the songs are in MONO or some of them? 1958 was the year during which most US jazz labels switched to stereo recording, although mono LP pressings were still released for years to come. The good thing about this set is that the sessions are now released chronologically. Initially, the tracks were mixed together on various albums, some released years after the recording took place (when Coltrane had already switched to other labels). How the CD box set is presented - any booklets inside etc? Digital versions of course have nothing, nada 😞 Asking also if all the songs are in MONO or some of them? Tracks 1-15 are mono, the rest in (mainly ping pong) stereo. BTW, anyone knows if any chance to get the PDF version of the booklets provided for CD or vinyl box? Haven’t seen it anywhere, so I doubt it. Unfortunately, only classical labels seem to do this with any regularity.